Max Ball says he is a "little bit nervous." That should be expected. 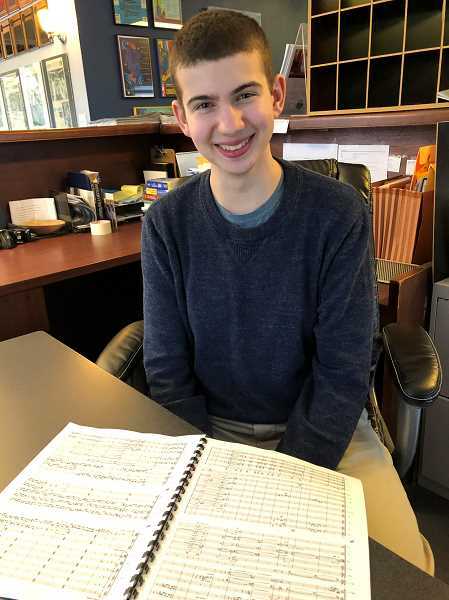 The Lakeridge junior is making his conducting debut with Metropolitan Youth Symphony March 3 at Arlene Schnitzer Concert Hall in downtown Portland. And he is conducting his own musical composition, "Fugue for Orchestra." At age 17, Ball has already accomplished more in his musical career than many musicians hope to achieve in a lifetime. Ball says he started playing the violin at age 3, and composed his first song at 5. His mother plays the oboe and his father plays piano, and though they encourage and support his musical interests he says they didn't push him to play. "I just played for fun," he said. Ball started taking lessons in second or third grade, and as his interest and talents grew he became involved with Portland Youth Philharmonic. He mastered the trumpet and French horn and when he was in fourth grade was invited to participate in the Young Composers Program, a program of the Fear No Music ensemble which provides unparalleled training and performance opportunities for promising composers. In a brand new collaboration between this program and the Metropolitan Youth Symphony, select students now have the opportunity for their music to be performed by full orchestra, as part of "The Authentic Voice." 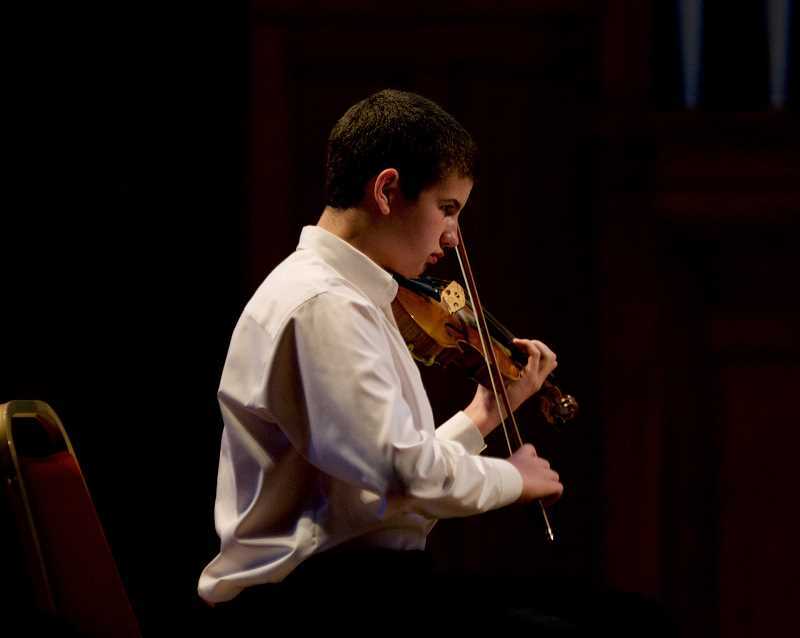 This series of student commissions presented and performed by the Metropolitan Youth Symphony at the Arlene Schnitzer Concert Hall is sponsored by Ronni Lacroute. "In 'The Authentic Voice' progran you write a piece and at the end of the year it is performed by a real orchestra," Ball said. Throughout the year, workshops and one-on-one sessions were held where professional musicians played his composition, then gave advice on how to perfect it. "It was a fantastic opportunity," Ball said of working with the professional musicians. "You hope that what you hear in your head is what comes out when the musicians play it." Ball's "Fugue for Orchestra" will be performed in its much anticipated world premiere March 3. The musical composition adheres to fugal principals but incorporates a variety of elements from baroque and classical style in addition to those of contemporary classical music, jazz and other genres. A fugue is a type of music with two melodic lines played at the same time. Many kinds of music, such as rock and country, are very simple, but others are more complex — including contrapuntal tunes like fugues. Contrapuntal music involves counterpoint, in which more than one musical line plays at the same time. The compositional technique has two or more voices built on a subject or theme that is introduced at the beginning in imitation (repetition at different pitches) and recurs frequently in the course of the composition. "The talent of young composer Max Ball reveals itself in his exceptional ability to absorb the techniques and designs of compositional masters, and then create music that references those styles but is also uniquely his own," reads a release from MYS. "My additional observation from hearing it and talking with Max after rehearsal is that he is also trying to evoke various historical period styles as a sort of collage," said Ryan Francis, one of Fear No Music's directors. "I most notably heard a good impression of Beethoven's 7th's texture." Ball says his composition is to be played by a full orchestra and includes 25 different voices. He says he is "very glad" there is software to write musical compositions, as it would be difficult to write by hand a score for 25 instruments. Ball's conducting debut is part of a concert in which Metropolitan Youth Symphony is teaming up with Northwest Children's Theater to pay homage to the coming spring season with a brilliantly hued program of movement, puppetry and orchestral fireworks inspired by birds with the production of "The Firebird" Sunday, March 3, at Arlene Schnitzer Concert Hall in downtown Portland. 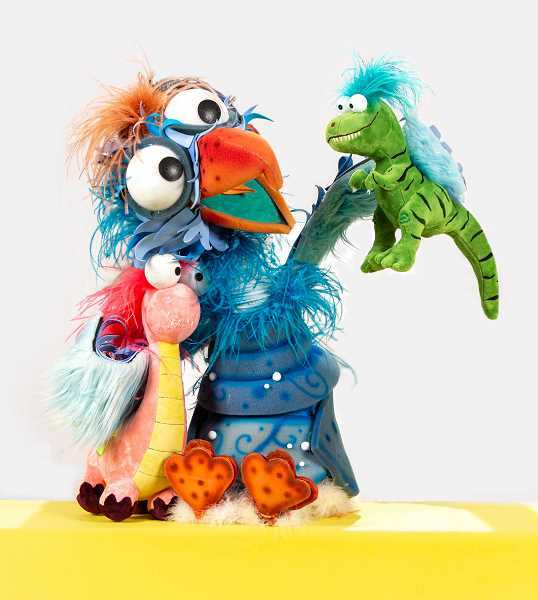 The Starlings, NWCT's "all-puppet, all-bird acting troupe," will enliven the stage as the talented MYS orchestra perform the birdsong-infused showpiece "Gli uccelli" by master orchestral colorist Ottorino Respighi. The five-movement suite sparks to life, playfully depicting the Dove, the Hen, the Nightingale and the Cuckoo in Respighi's signature late-romantic style. Indulging his lifelong interest in exploring music of the past, Respighi uses 18th-century keyboard pieces which depict songbird as inspiration for this piece, applying his expert orchestration techniques to kaleidoscopic effect. In addition, MYS will perform the third movement from Jacques Ibert's "Flute Concerto," featuring a solo performance by Westview High School senior John Nguyen, one of the winners of the 2019 MYS Concerto Competition. Amazingly, Nguyen has only played the flute for three years, but is clearly a natural on the instrument. He is the principal flautist for both the Westview Wind Ensemble and the Western International Band, and at MYS participates in the Symphony Orchestra and the Symphonic Band. Nguyen impressed the judges with his impassioned, whirlwind performance of this highly technical and engaging showpiece for the flute. With its breakneck speed melodies, upper register trills and flutter-tongues for an instrument that has long been associated with bird calls, this piece perfectly enhances the programmatic scope of aviary exploration. The musical pyrotechnics continue with the highlight of the program: a uniquely staged production of the beloved original suite from one of the greatest ballets of the 20th century, Igor Stravinski's "The Firebird." Based in ancient Slavic folklore, the firebird is a powerful spirit capable of bestowing both blessings and doom upon its captor. An object of difficult quest, the firebird intervenes in this version of the fairytale to bring justice and joy to those who are deserving. Through borrowed Russian folk melodies Stravinsky honors the story's mythological origins, but the lion's share of this iconic work is the unique creation of this most distinctive and powerful composer. The concert starts at 7:30 p.m. in Arlene Schnitzer Concert Hall, 1037 SW Broadway, Portland. Tickets for "Firebird" range in price from $11 to $40 online at playmsy.org or by calling 503-239-4566.